Though I now have a particular fascination with sharks, it has not always been this way. In fact, I was irrationally afraid of sharks for most of my life. I refused to go out below my waist in the Long Island ocean in fear of a shark attack. And, though I’m reluctant to admit it, I also refused to swim in my pool alone, fearing that a shark would somehow squeeze through the filter and attack me. So what changed, you ask? On July 6, 2013, I had my first encounter with sharks. On a trip to Belize with National Geographic Student Expeditions, I traveled to the famous Blue Hole to snorkel and explore its depths. After snorkeling the shallow reef surrounding the hole, we swam directly above the hole. Over four hundred feet of dark mystery lay below, and all I could see looking down was the reflecting light rays. So, finally, after fifteen years of irrational fear, I discovered the truth about sharks for myself. Once I swam with these creatures, there was nothing not to love about them. They were incredible. And I was instantly obsessed. In my Children’s Book, I look to inspire children to adopt this same respect that I have. Though at such young ages the children will not have swum with sharks yet, I hope that the book will encourage them to keep an open mind until they can get out there and see for themselves the wonder and beauty of these animals. So sharks are in danger. What’s next to do to take action—for both you and me? The first step towards protecting our oceans is awareness. With an educated, informed public we can build support and initiate change. I blog every week not only to describe my respect for these amazing creatures, but also to reveal to others the importance of our oceans. 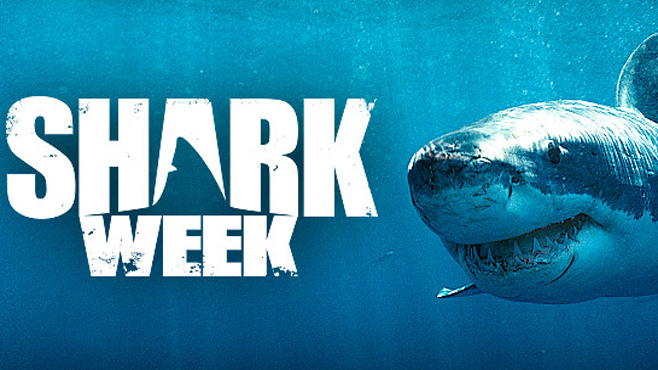 If you are interested in helping to spread awareness, Shark Savers has excellent material to execute your own project. Click here for more information. Plastic and other garbage often ends up in the ocean. Because plastic takes many thousands of years to decompose, it continues to pollute the ocean and endanger marine life. Next time you go out, you can bring a reusable water instead of a plastic one! The Monterey Bay Aquarium has ranked seafood items based on their vulnerability and population level. When you go to the supermarket or out to dinner, this is a quick check to make sure what you’re eating is sustainable. In my case, as you know, I am writing a children’s book to promote shark conservation. I’m about four months away from my children’s book’s release, and am in the editing phases. If you would like to pre-order my book, I will have a link posted in the coming weeks! Like this blog post? Sign up via e-mail in the top right corner. 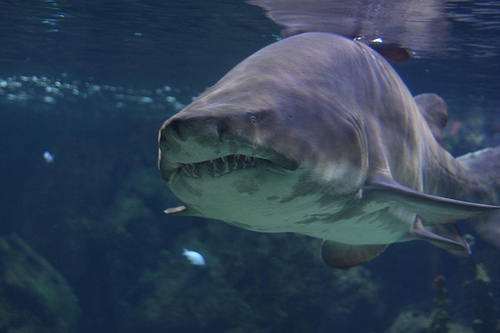 Mythbusting: Can Sharks Get Cancer? One hundred million sharks are killed each year for various reasons, the most prevalent being demand for the shark fin trade. However, thousands of sharks are also killed for their cartilage. 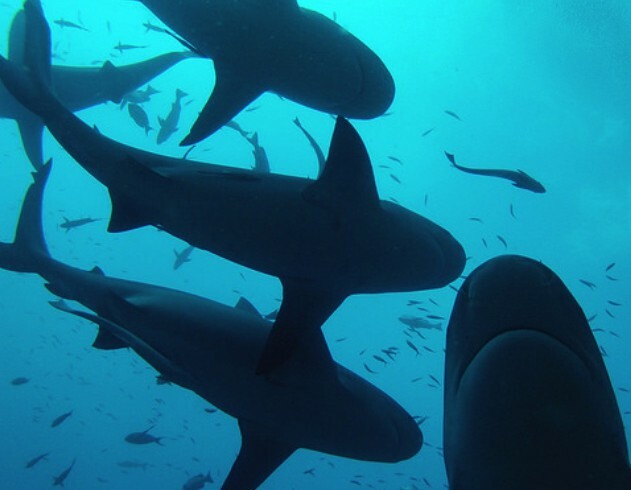 Sharks have been believed to not get cancer—and thus their cartilage has been used as a “cancer preventative.” In markets all over the world, shark cartilage is packaged into pills or tablets and sold as cancer-preventing health supplements. As they say, you can’t always believe what you hear. And if this isn’t enough to scare you away from the phony supplements, consider the effect on ocean ecosystems. Taking thousands of sharks out of the water for no purpose endangers fragile ocean communities. Depleting shark populations tears at the fibers of the ocean ecosystem, endangering our essential marine resources.